All of them married to the same great guy, Michael Chase. I don't feel like I'm anywhere close to being old enough to claim 14 years of marriage, but after last year's mix up, I double checked. 14 years, sure enough. But look at the photo above, where we are brand new newlyweds. 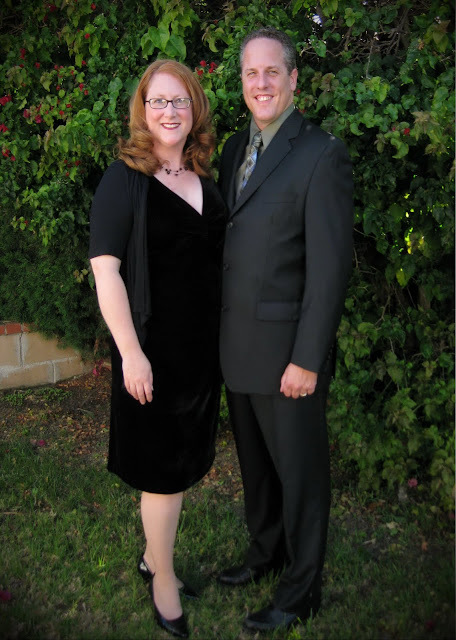 Then look at the photo below, taken right before we left for our anniversary night on the town. Barely recognizable as the same two people! Looks like fourteen years have passed to me! The only thing that hasn't changed is our love for each other. In the last fourteen years, our hearts have broken as we've been witness to the carnage of the broken marriages of our family and friends. We've never said that could never happen to us, because we've seen firsthand that it can happen to anyone. We've worked incredibly hard to keep our relationship a priority, even through multiple international moves that have stressed us to the breaking point, impossible work schedules conspiring to keep us apart, and our romance-busting children. Getting married is easy. Staying married is much more difficult. Every single day we are confronted with choices that will either hurt or help our marriage. Fourteen years ago, we committed to choosing the things that will help, even when it's not the easiest choice. We don't always get it right. But if I had to do it all again, I would still choose to marry my handsome fella. Happy Anniversary, Michael! I love you so. And I love you my enchanting bride of 14 years. 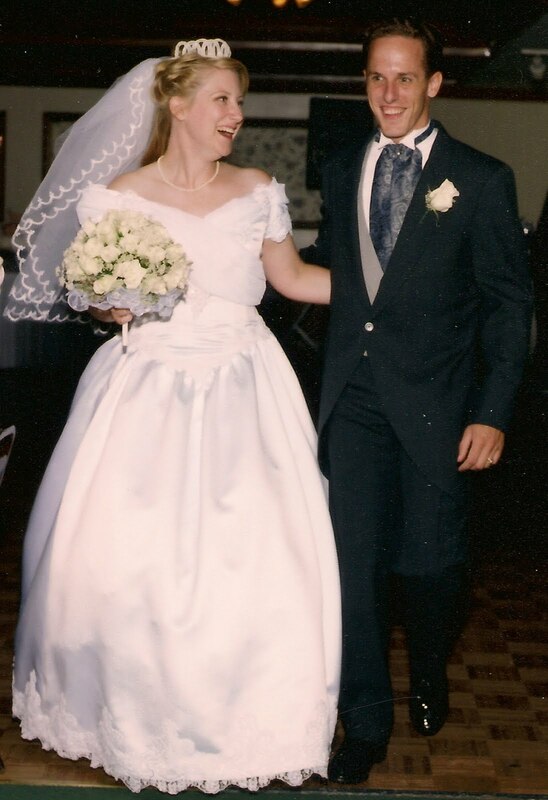 You are still as beautiful today as you were on our wedding day. I give you both a standing ovation. for that. We need more Michael and Heathers in our world. Love you both.